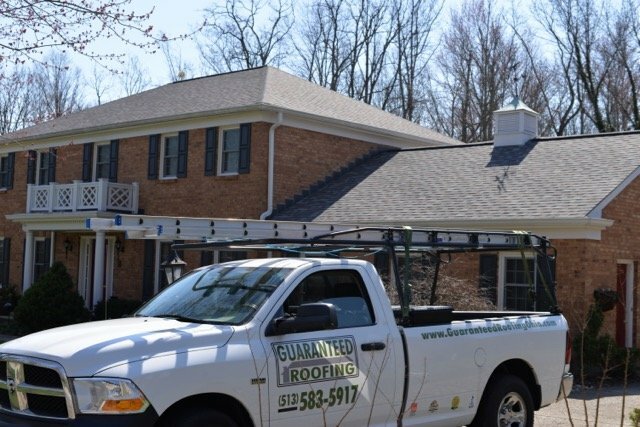 Guaranteed Roofing serves the Greater Cincinnati area, including Anderson Ohio. We offer a full line of exterior residential services. Some of the services we provide are residential roofing, fascia, soffit, vinyl siding, James Hardie Fiber Cement Siding, seamless gutter systems, gutter protection. Guaranteed Roofing offers premier products for all your exterior projects in Anderson, Ohio. A few of the products we offer are Owens Corning, Certainteed, Tamko, Mastic and James Hardie to name some. All of our work is performed by professionals with years of experience in roofing & exterior work. Guaranteed Roofing has two objective’s when hired to do work. That is stellar customer service and skilled craftsmanship. We are the only roofing contractor that you will need. If you’re in the Anderson, Ohio area, and have any questions or comments, please feel free to give us a call, or send us an email. If you prefer, you can fill out the form below, and one of our representatives will be in touch.